This low maintenance brick and tile home is conveniently located amongst other quality homes and would be an easy level walk to the shopping centre and private cul-de-sacs in Tea Gardens. 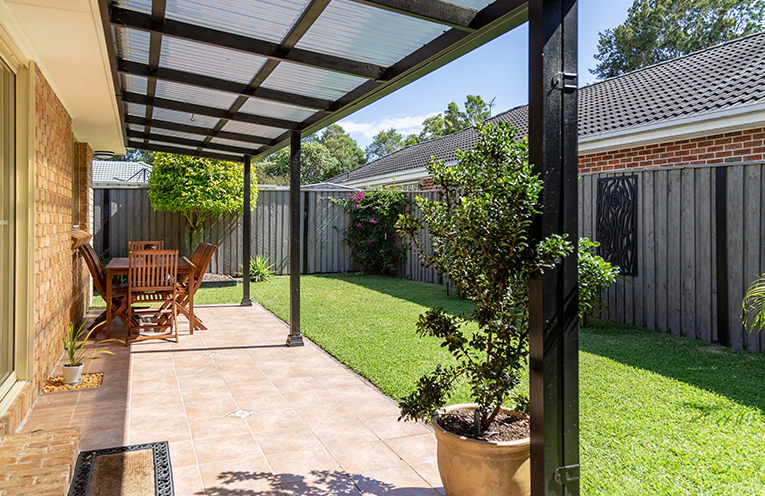 Set on approx 597 sqm of land, the home has been lovingly refurbished and renovated. Enter the home into a foyer area and to the air conditioned lounge room which is light and airy. The stylish dining room is very inviting with picture windows providing a lovely outlook to the greenery. The kitchen is very modern with a contrasting speckled black bench top, white subway tile splash-backs, new appliances, breakfast bar, double kitchen sink as well as plenty of space for storage, cooking and entertaining. 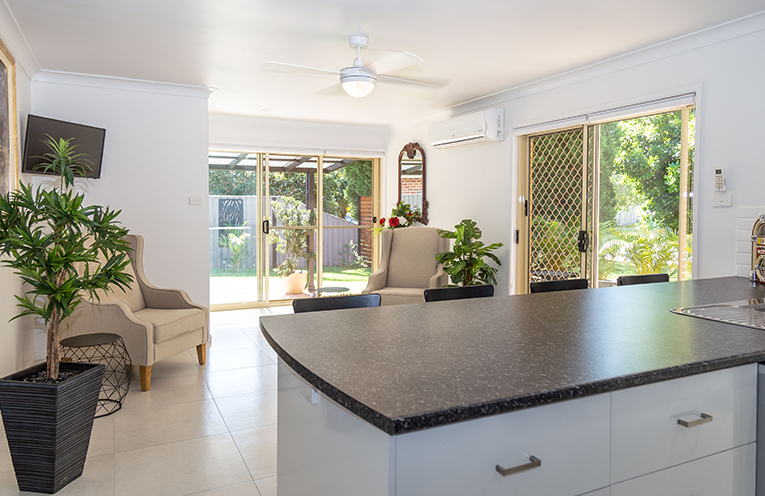 Next to the kitchen is the air-conditioned spacious casual living space which flows through to a covered outdoor alfresco dining area and small courtyard. Access is through glass sliding doors which allow the breeze and light to flow into this area. The master bedroom with ample natural light has a wonderful ambiance with plenty of space, sleek blinds, a large walk in robe and ensuite bathroom. There are two further bedrooms which are also spacious with built in robes and a family bathroom with full bath tub. A separate euro-laundry and a fenced private back garden are also included. There is a double garage, a pad for the caravan or boat, and plenty of access for the other ‘toys’. All the updating has been done, with downlights, ceiling fans, reverse cycle air conditioning and a neutral colour palette which allows for the new owners to set the mood. This home with great presentation, is ready for new owners to move straight in. For more information, contact Century 21 Coastal Properties 02 49972554.